While shocking, this story is far from surprising. 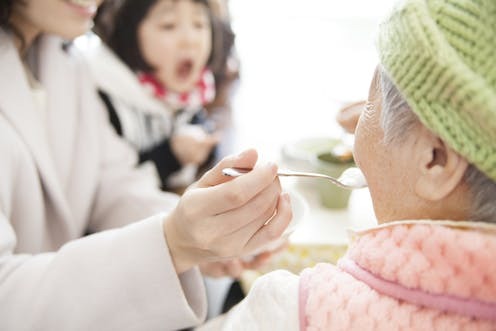 Researchers have long highlighted that people living in aged care have substantially poorer oral health and three times the risk of untreated tooth decay than people living in the community. The aged-care sector should also be well aware of the issue. In 2014, complaints to the government’s aged-care complaints scheme led to an industry-wide alert and training on what to do to improve standards. What do we mean by oral health and why is it an issue? Oral health is not just about the health of teeth and gums. It also covers looking after areas including the lips, tongue and inside the cheeks. Most aged-care residents are aged over 85, frail, have complex health conditions, are on multiple medications, and rely on staff to meet all their care needs. These and other factors, such as lack of access to oral health services, greatly increases their risk of having poor oral health. Many medications can cause a dry mouth, resulting in painful cracks in the lips or tongue, and an increased risk of infection. A dry mouth can also make chewing and swallowing food more difficult. 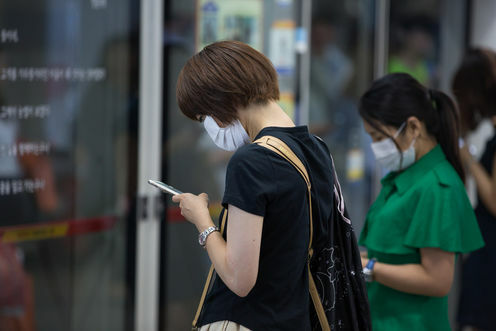 Other problems include tooth decay and gum disease, and a significantly increased risk of developing aspiration pneumonia, where inhaled saliva or food moves bacteria into the lungs. 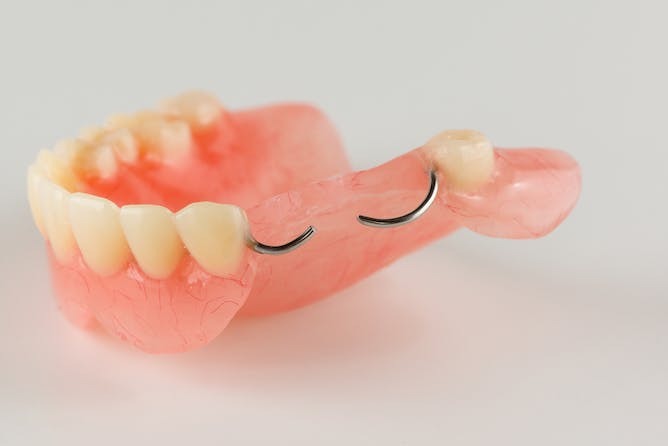 Dentures that no longer fit can not only make eating and speaking more difficult, but can also cause residents to die from choking. These problems affect people’s health, well-being and quality of life; as well as their dignity and social inclusion, due to an unsightly mouth or bad breath. To learn more about what happens in practice, we asked aged-care nurses and nursing assistants about their experiences of providing oral care. They agreed with guidance for best practice, for instance brushing people’s teeth twice a day and cleaning their dentures. But they said they could not always perform these tasks. Some blamed lack of time and not enough staff. Others felt staff had enough time but negative attitudes, not seeing oral care as a priority over other daily care tasks. Staff described not having the appropriate equipment, products, or access to dental-health services like dental hygienists and dentists. They also said family members were sometimes reluctant to pay for things like toothbrushes and toothpaste, or visits to the dentist. The residents who need the most help with oral care often missed out entirely. Staff avoided tooth brushing if residents had swallowing disorders. They also stopped providing oral care if residents were resistant or aggressive, including people with dementia. Some residents went without oral care “for weeks”. The problem of poor oral health in aged care is not just about some staff being reluctant to provide good routine care. It is not necessarily about a lack of evidence-based standards, care guidelines or education resources. This complex problem has arisen due to many broader issues in the aged-care system. Some of these are highlighted in a recent report, including insufficient funds and lack of access to dental services. So we need a collaborative approach to improving oral health in aged care, that involves funders, policymakers, aged-care residents, family members, staff and health professionals working together. Family members and aged-care staff might feel helpless in the face of such barriers to good oral health. So here are five actions they can take. Aged care residents have the right to the same access to health care as their peers living in the community. This includes having their teeth brushed and dentures cleaned properly, along with regular access to oral health services. Many people living in aged care cannot communicate their needs and rely on others to speak on their behalf. Raising concerns with the manager or making a complaint can be daunting. So keeping a written record can help family members and staff communicate their concerns clearly when raising complaints with the manager or the Aged Care Complaints Commissioner. Visiting around mealtimes, or helping the person to eat, can be a chance to pick up problems. Ask the resident permission to look into her mouth to check if she is swallowing or removing leftover food promptly. Look in particular around the teeth and gums, between the teeth and the cheeks, and on the roof of the mouth. Ask for a referral to a speech pathologist if you think the person has trouble swallowing, as swallowing can get more difficult with age. Smelly saliva and bad breath are also linked to poor oral health. So, routinely checking if the person has a “clean mouth” could help identify problems. If you see or smell something, say something. Ask the care staff about your family member’s oral-care routines. How well do these align with the nursing home’s policies and guidance provided to families? Before more problems arise, seek the services of dental health professionals. Relying on family members being willing or able to fund oral care products leaves residents more vulnerable to poor oral health, particularly if they have no family involvement. Prioritising oral care and discussing any costs involved is important. Oral care is considered “personal care”. Knowing how much support to provide during this intimate task can be tricky, particularly if the person doesn’t like others touching their face or brushing their teeth. An occupational therapist can help increase the person’s participation in both mealtime and oral care activities. Residential care staff may also need information on ways to help residents accept oral care. Consider what a person’s behaviour in response to attempts at oral care, like resisting tooth brushing, might be communicating. Andrew Georgiou receives funding from National Health and Medical Research Council. Joanne Steel and Susan Balandin do not work for, consult, own shares in or receive funding from any company or organization that would benefit from this article, and has disclosed no relevant affiliations beyond the academic appointment above.